BONUS: Get my real estate valuation spreadsheet to quickly compare properties side by side. Insights in less than 30 seconds. Recently I went through the process of buying a real estate investment property in a short sale. 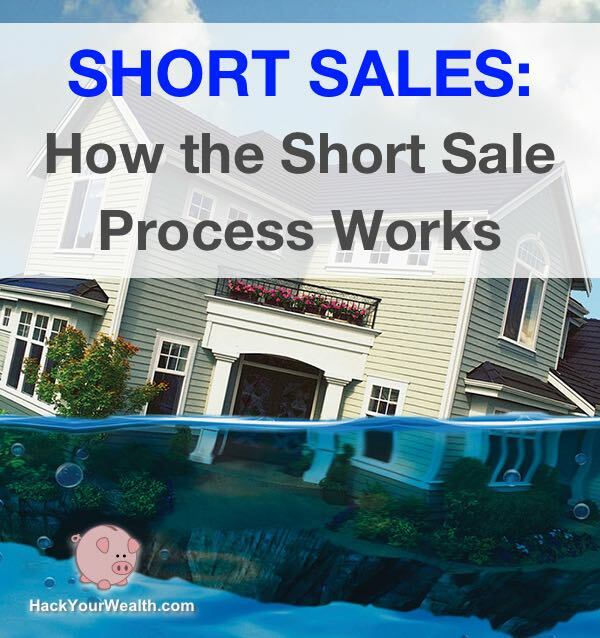 While the deal failed, I found the short sale process so informative I wanted to share what I learned to help shed light on how this complex process works for other buyers who may be interested in investing in short sales. I look for potential real estate investments continuously. The kind of properties that excite me are crappy ones in good neighborhoods. The ones that look like roadkill but sit in an otherwise desirable area of town. The kind of properties that excite me are crappy ones in good neighborhoods. These properties generally have fewer people competing for them (although investors often descend like hordes when word gets out). They are also priced a little less efficiently because comps require more judgment and experience to analyze. Sometimes these properties are short sales or foreclosures. They often become crappy after the owner goes “underwater,” because the owner then has far less incentive to upkeep the house. Deferred maintenance issues crop up. If they’re occupying the home, they may soon have incentive to rip out the pipes as a parting gift just before the bank forecloses. Fun. They think: If I’m going down, I’m taking a piece of the house with me. So, short sales and foreclosures are certainly among the distressed properties I pay close attention to. 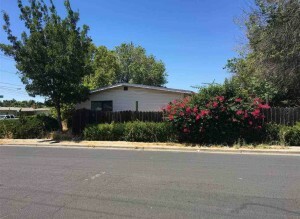 A couple weeks ago, I saw this short sale property pop up on the radar. It’s located in an area still surprisingly affordable vs. the rest of the Bay Area. Not the best neighborhood, but a decent one. Good community, jobs, parks, local businesses, cute little downtown, low crime, close to a lot of attractive commercial retail. My RE investment criteria: 12-13x rent, 5% cap, 12% C-o-C return. What are yours? That’s really hard to find in the Bay Area, to be frank. So when the numbers on this home seemed to work, I got excited. It seemed to check all my boxes: neighborhood, location, house / lot size, price range, rent growth, demographics, local jobs / economy. 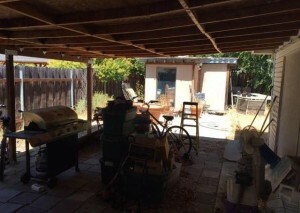 The property itself wasn’t in great shape, but that’s solvable. The things I couldn’t control looked good, though. I sprang into action and immediately drove over to walk around the neighborhood and property. I liked what I saw, so I called my agent to develop our strategy and put together an offer. 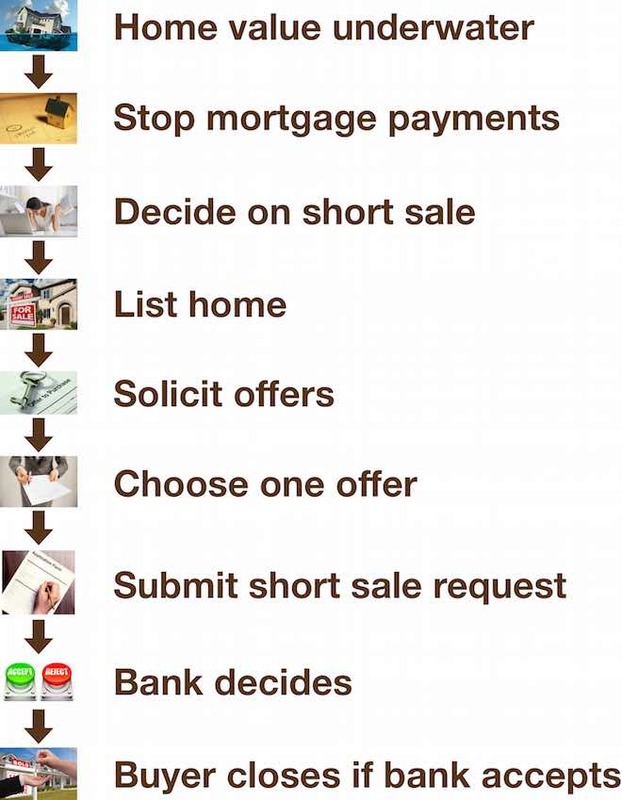 Here are the key things I learned about the short sale process. What is a short sale and why does it happen? A short sale is a home sale where the seller / owner is underwater on their mortgage. That means the value of the home is less than the outstanding mortgage balance, so the home gets sold for less than what is owed on the mortgage. This can happen when there is a broad decline in house values, as we saw following 2008. For a short sale to succeed, the bank must approve it, since they’ll be taking a haircut off what the borrower owes on the mortgage. This also means short sales take a lot longer than normal sales. Whereas a regular home sale can close in a few weeks, a short sale will take a minimum of a few months and could take as long as a year. Even then it could still fail. It might fail because the buyer gets tired and gives up. Or it might fail because the bank rejects it. Short sales takes a minimum of a few months and could take as long as a year. Note that a bank will usually reject a seller’s short sale request if there is enough equity left in the home for them to foreclose and get their money back. (We’ll discuss how to convince the bank otherwise later in this post.) A short sale generally only happens if the homeowner is actually upside down on their mortgage. That said, if there’s a glut of homes for sale in the market, the bank may be less keen to take title and foreclose, since there will be downward price pressure due to the excess supply. For the bank to consent to a short sale, the seller must convince the bank, by writing a hardship letter, why they cannot make their mortgage payments anymore. They’ll have to include lots of financial docs (pay stubs, bank statements, list of assets) to prove financial hardship. Classic reasons for requesting a short sale include family or medical emergencies, job loss, or sudden loss of income. With this information, the bank will decide whether it’s cheaper for them to grant the short sale or simply foreclose. If the owner is gonna lose their house either way, why do they care if it’s a short sale or foreclosure? Because a short sale will hurt their credit score less than a foreclosure. A foreclosure on your credit report will basically wipe out your creditworthiness. It craters your credit score by 200-300 points, which means most financial institutions won’t lend anything meaningful to you for 7 years until the foreclosure drops off your credit report (by law). So while liquidating a home via short sale is often the last resort for a homeowner, it’s still better than foreclosure. And if you’re gonna lose the house either way, you might as well try to salvage your credit. A short sale also has a negative impact on your credit, but not as bad as a foreclosure. When you do a short sale, the loan will often get reported as “paid” on your credit report, but there will also probably be a notation that says something like “settled for less than originally owed.” Not great, but not as bad as a foreclosure. Does the homeowner have any possibility of profiting from the short sale? No. By definition, since the mortgage balance will exceed the price of the home, there won’t be any proceeds leftover for the seller to profit from. Let’s talk a little bit about the timeline for a short sale. Here’s basically how it unfolds. 1. Seller’s home value goes underwater. Market forces reduce the value of the home beyond the outstanding mortgage amount. 2. Seller (usually) stops making mortgage payments. 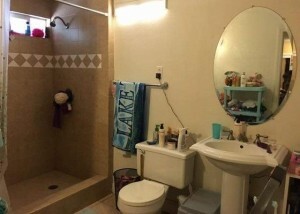 At some point, the seller realizes how underwater they are and say to themselves: “Enough. This house ain’t going back up, so why bother paying?” The first missed payment is technical default, but many banks won’t actually initiate foreclosure proceedings until the third payment is missed…and often after forbearance or other loss mitigation measures are exhausted. In fact, some banks require the homeowner to try a loan modification first. If the bank ultimately forecloses, it will take them several months to get it done. 3. Seller decides to do a short sale (sometimes suggested by buyer). If the seller believes foreclosure is likely / unavoidable, then they (sometimes nudged by a buyer) may request a short sale to the bank, and they’ll be racing against the clock to complete the short sale before foreclosure happens. The bank will want to know why the owner wants a short sale, especially if the owner is current on their loan payments (which the owner may try hard to be to protect their credit short-term, even if they know they cannot maintain those loan payments long-term, e.g., due to job loss, medical condition, divorce, or the like). In fact, if the seller’s life circumstances have materially changed and he expects to fall behind on loan payments in the near future, that alone can be enough incentive to start the short sale process early. With planning, he can get ahead of minimizing negative impact on his credit score. 4. 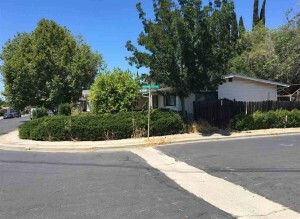 Seller lists house with agent, advertising it as a short sale. The seller will hire a listing agent, ideally one who is experienced in short sales. Many agents don’t want to do short sales because they take a long time to complete and they’re risky; they could invest months into the process only to have the bank reject the sale or the deal fall apart. The agent will list the house on the MLS as a short sale. There will probably be strong investor interest because it’s basically an opportunity to buy a hard asset at a discount. However, since the sale isn’t entirely “voluntary,” it may not be easy for investors to access the home to inspect it if the owner isn’t terribly cooperative. 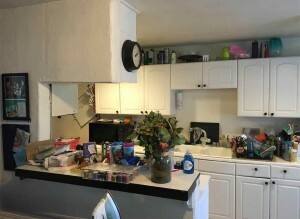 There may be limited opportunity to view the property and, in some cases, even no opportunity. In my own case, the seller wasn’t occupying the house and wasn’t too cooperative letting investors in to inspect. 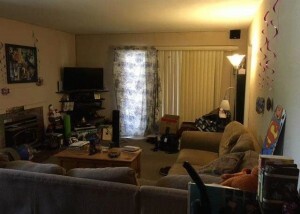 So I wrote my offer based solely on some blurry photos the listing agent took, plus walking around outside the property. 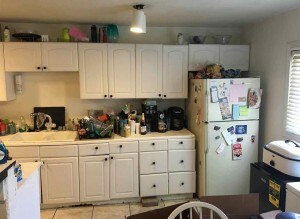 I was comfortable with that because I had an inspection contingency in my offer. 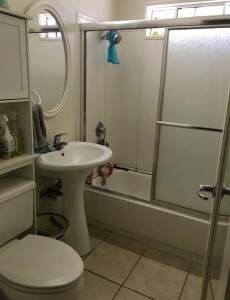 Plus, from the listing agent’s photos and disclosures, I already knew the house was in pretty bad shape and I was expecting the rehab would cost a lot. So if my offer had been accepted, I would have used my contingency to inspect inside, get a formal rehab cost estimate, and then — if needed — lower my offer price based on what I found. For speed and competitiveness, I recommend writing such offers without seeing the inside, if it’s gonna take you a long time to access the property. You can usually assume the property won’t be in great condition and adjust your price if needed later based on what you find. For speed/competition, I recommend writing an offer w/o seeing inside of the house. 5. Seller collects offers from interested buyers, may negotiate / counter. After the house has been listed and investors have a chance to evaluate it, several of them may write offers. 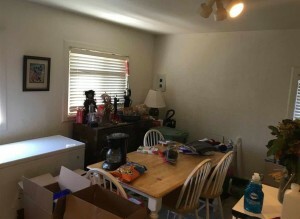 The seller will evaluate the offers before submitting one to the bank. He may negotiate or counter any (or all) of the offers before choosing one. I strongly encourage bidding all cash if at all possible. It will make your offer much, MUCH stronger if you aren’t hobbled by a loan contingency. I’d also suggest making your inspection contingency as short as possible, even zero if you can tolerate the risk. You can compensate for that by lowering your price a bit. Speed and certainty are more likely to be compelling to a short seller vs. getting the highest price. The seller may counter you to raise your offer price, but as long as you clearly know — and stay firm — on your walkaway price, you shouldn’t feel any undue pressure. Remember, the short seller is under the gun here, not you. Speed/certainty are more compelling to a short seller vs. the highest price. In my case, the seller got multiple offers, discarded all the conventional financing offers, and then countered all the cash offers. The cash buyers then negotiated and accepted the terms and the seller selected a final offer. 6. Seller chooses one offer to present to the bank. One of my biggest learnings in this whole process is that the seller is only allowed to present ONE offer to the bank. He cannot present multiple offers and then have the bank decide. It’s up to the seller to decide which offer to present; the bank will approve, reject, or counter that one offer. If the bank rejects, the seller will have to go back on market to collect another offer, but the other buyers may have already moved on or lost interest and precious time wasted. Similarly, if the bank drags things out and the buyer gets impatient and walks, the seller will likewise have to go back on market to fetch another offer, which may be harder the second time around, meanwhile valuable time has again been wasted. To be competitive and get selected as the seller’s choice to present to the bank, it’s imperative that you show you understand exactly how the short sale process works and that you’re gonna stick around for the long haul. Show you understand exactly how short sales work & that you’re staying for the long haul. There’s nothing more deflating for a short seller and their agent than a buyer who flakes out. It means a ton of wasted time and energy, and all the while the foreclosure clock is ticking. 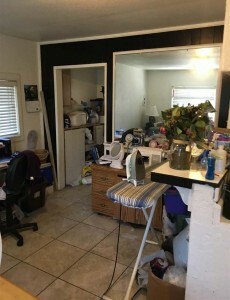 So you can bet the seller will be sizing you up to judge how serious you are. I believe most short sellers are willing to sacrifice on price to work with a buyer they are confident is serious and will stick around to the end and close. So, show you understand the complexity and difficulty of the short sale process to inspire that confidence. Reinforce that you understand the deal can take 3-12 months, that multiple parties must align, and that you’re committed to the end. Be super responsive to every request from the listing agent, seller, and (later) the bank. Proactively and constantly follow up. Show you ask good questions, are experienced and patient (but determined), and don’t walk away easily. The listing agent will be your greatest ally if they believe you’re gonna work hard to ensure the deal closes. Remember, they don’t wanna have to go through this process again, put the house back on the market, solicit offers, and re-submit everything back to the bank. They get paid on commission, not by the hour, so they don’t want to waste any time. Listing agent = your greatest ally if they believe you’re serious & gonna close the deal. If you do all these things, you’ll have a huge advantage in getting your offer selected to be presented to the bank. 7. Seller prepares hardship letter with supporting docs, fills out lender forms, submits with buyer’s offer. Before submitting, the seller must gather their bank’s short sale application packet. The bank will have a set of specific forms to fill out to request a short sale. (Remember: the bank drives this process, not the seller.) The seller will fill out this application packet and submit with the buyer’s offer; the bank won’t entertain an offer without this application. The seller will also write a hardship letter to preface their short sale request. It’s like a cover letter. It explains the “why.” The seller’s goal is to convince the bank that a short sale is the best of bad options, the alternatives being foreclosure or bankruptcy. The more the seller convinces the bank they’re up against the wall, the more likely the bank will be to grant the short sale. Seller’s goal = convince the bank a short sale is the best of bad options. In addition to the hardship letter, the seller will submit detailed financial docs to further support their case that a short sale is the best outcome. For example, a smart thing a seller can do is attach a CMA that indicates the home won’t sell for more than the attached buyer’s offer if the bank forecloses. The bank will review the analysis as well as run their own numbers. 8. Lender accepts, rejects, or counters price / terms. Remember I said this is a bank-driven process? Well here’s why. 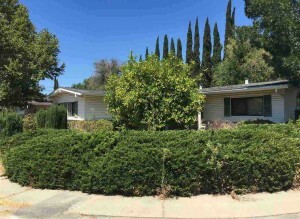 The seller submits the offer, but the bank must approve it. And there’s probably gonna be some healthy negotiation between the seller and the bank’s loss mitigation department before they approve. The bank will ultimately either accept, reject, or counter with a different price and / or terms. If the bank rejects, they’re rejecting the short sale entirely. If the bank counters, the offer will be “take it or leave it.” So, don’t stress over your offer terms: they aren’t set in stone anyway and the bank may counter with different terms. Want the house? You’ll have to agree to their terms or walk. In a short sale, don’t stress over your offer terms: they aren’t set in stone anyway. So, what drives the bank’s decision? Simple economics. The bank will likely accept your offer if you bid more than the minimum payout they need to make foreclosure not worthwhile (which their loan analysts will model out). If you bid less than that and they’re confident they’ll get the payout in foreclosure and they believe you won’t pay the difference, they may simply reject a short sale and foreclose. If your offer falls short but is close, the bank may give you a “take it or leave it” counter-offer. It could have a different price, offer terms, and / or contingency deadlines. You’ll usually have to accept them all to keep the deal. This means there is an information asymmetry you have no control over. The bank knows their own walkaway price and they force you to show your hand first. Then they decide whether to continue playing. If I could do that at the Bellagio blackjack table in Vegas, I’d play every night of the week! In a short sale, there is information asymmetry you have no control over. Bottom line is, the bank is gonna pick the option they believe maximizes their payout. If the short sale happens to be that option, it’ll be a win for all other parties, too. 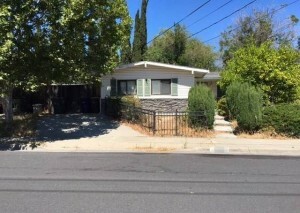 The seller unloads a house they cannot afford, reducing damage done to their credit. The bank is spared the time and expense of foreclosing. The buyer gets a house at a deep discount. Win-win-win. 9. Once offer terms are agreed upon, buyer proceeds to close. Once the bank and buyer align on terms, the key risks to closing are over. The buyer will proceed to close just like any other conventional home purchase. As a buyer, you should get all your ducks in a row to ensure a smooth close so the bank can’t renege for any technicality reasons. Short sales: get all your ducks in a row so the bank can’t renege on a technicality. After the sale closes, title transfers from seller to buyer, sale proceeds are used to pay off all lenders in order of seniority, and the seller’s credit report will get notated (though theoretically not ruined). And the buyer walks away with a new house at a deep discount. In the end, successfully winning a short sale deal certainly requires “making the numbers work.” But it’s even more important to thoroughly understand the human motivations and incentives at play. Winning the deal is the result of aligning those incentives. 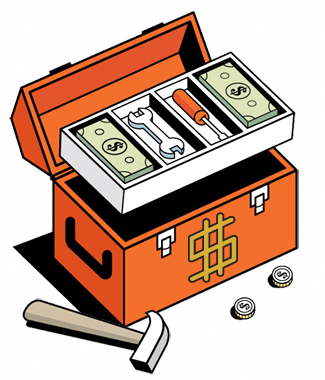 Short sales: Winning the deal is the result of aligning human incentives. The most important point to remember is that, unlike a typical transaction, it’s not just the buyer and seller in a short sale: multiple parties are involved. All of them must approve for the short sale to happen. Short sales: multiple parties must approve for the sale to succeed. While everyone’s goals overlap, in that everyone wants the deal to close, their incentives differ in terms of what will be acceptable. Short sales: all parties’ goals overlap but their incentives all differ. Buyer. The buyer wants to buy the property at the lowest possible price (or on the best terms). Seller. 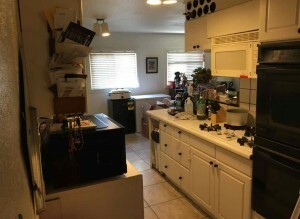 The seller wants to get out without ruining their credit. Anxieties are running high. They already know they’re gonna lose their house. They’re stressed. They probably have another crisis going on in their life adding to that stress: job loss, divorce, medical emergency, etc. Can you help them get out with dignity and minimal credit damage? Short sale buyers: Can you help seller get out with dignity & min credit damage? Bank. The bank wants to get the maximum payout, regardless of whether by short sale or foreclosure auction. If they have to take a haircut, they’re incentive is to weigh liquidating quickly vs. minimizing loss. They want to minimize loss but they also want to get out quickly and efficiently. After all, banks are not in the business of holding real estate; they are in the business of making loans. Short sales: the bank’s incentive is to balance liquidating quickly vs. minimizing loss. To be sure, foreclosure will guarantee a payout for them, but it has drawbacks. First, it’ll take forever. 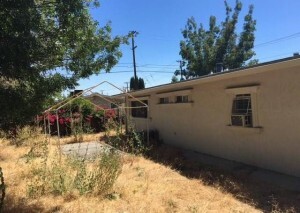 Foreclosures can take a year or more to work their way through the court system before the county sheriff finally comes knocking on the door to throw the owner out. There is also legal expense involved, which eats into proceeds. Plus, the owner isn’t likely to vacate the house voluntarily. They may decide to take a sledgehammer to the walls, rip out the pipes, pour concrete down the drains, and destroy whatever they can to “stick it” to the bank before the bank repossesses the property. So if the bank can quickly liquidate via short sale vs. drag out a foreclosure and have to deal with eviction, they’d greatly prefer that, other things being equal. They may even be willing to take a haircut vs. what they believe they can sell for at auction, in exchange for a quick sale. Of course, they’ll want to make sure they’re not taking too big of a loss vs. simply foreclosing. It’s important for short sale buyers to understand these incentives. What can you do to address them? Agents. Agents on both sides want to close the deal so they can earn their commission; they don’t want wasted effort. They have to work hard to list and market the home, navigate the process with the bank, deal with seller and buyer anxieties. They are also acutely aware of how hard it is to make a short sale succeed and therefore may be cynical about the process and people involved. What can you do to build their trust and inspire confidence in your ability to close? Short sale buyers: how can you build agents’ trust & confidence you can close? Short sales can be a great way to scoop up investment properties at a discount. As a buyer, you’ll have a major competitive advantage if you can show that YOU are the one who can fulfill all these incentives. Question: Have you ever purchased a short sale property? What were your biggest lessons / takeaways? If you’ve attempted it but failed, what happened? What would you do differently if you could do it again? Leave a comment below and share your thoughts! I’ve been on both sides of the process (posting my 3 part series this week) and, let me tell ya, as hard as it is to but a short sale, it is waaaay harder losing a property that way. But the gamble in real estate is all part of the draw and, despite my crushing experience, the reason why I still love the game! Thanks for the comment, and look forward to seeing it!